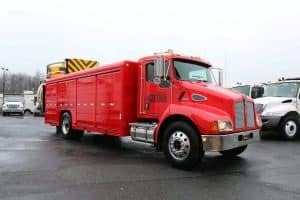 As the new year is fully underway, we wanted to list out all of our available trucks for you, including: TMA trucks, dump trucks, forestry trucks, grapple trucks, bucket trucks, and hooklift trucks. If you don’t know what’s available, how can you possibly find the perfect truck to improve your fleet? Do your operations only require a simple TMA truck? 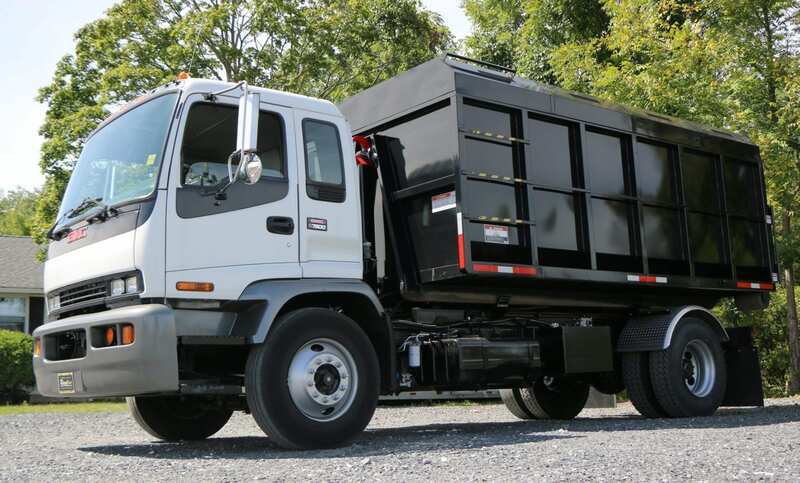 We have several available basic TMA trucks that delivery simplicity without sacrificing safety! 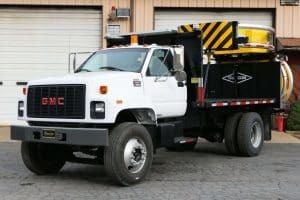 2008 GMC C7500 TMA1 with 11’ body (pictured above): This truck comes complete with a Scorpion TL-3 Scorpion Attenuator, 15 lamp LED arrow board, a non-skid deck, and several LED lights around the truck. 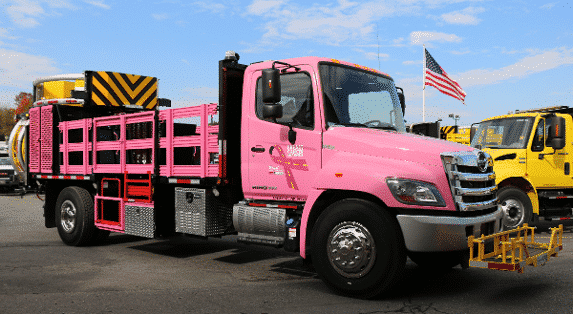 If you are interested in a TMA truck equipped with man buckets and removable racks, take a look at the trucks we have available! 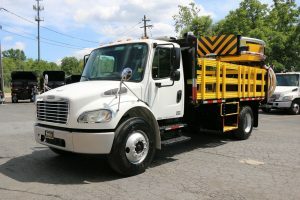 2008 Freightliner M2 TMA2 with 15’ body (pictured above): This truck is equipped with a Scorpion TL-3 Attenuator, a 15 Lamp LED arrow board, two bolt-in man-buckets, a non-skid deck, and new 36″ removable steel racks! 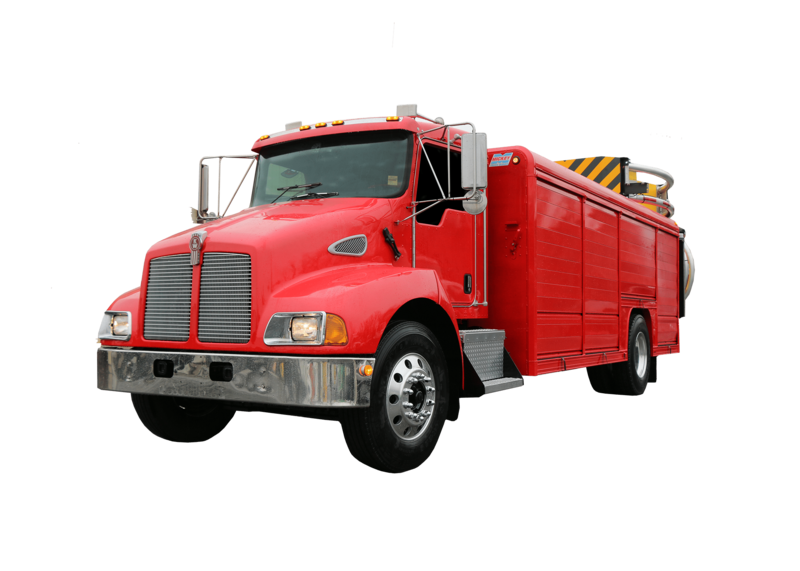 Are you a fire department looking for a better way to protect your firefighters on highway operations? Did you know the second leading cause of death in firefighters is being struck by a vehicle? Royal’s ERTMA (emergency response TMA truck) is available and ready to protect firefighters! 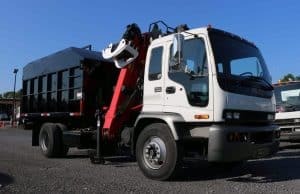 Does your company need a dump truck? 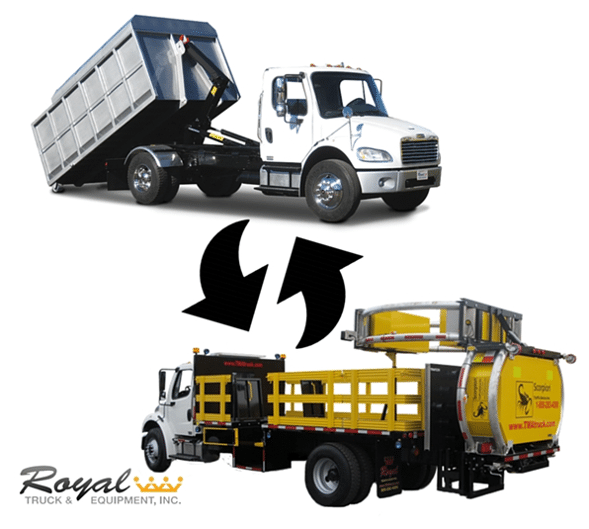 Royal’s dump trucks are sturdy enough to handle any job while also being easy enough for anyone to use! 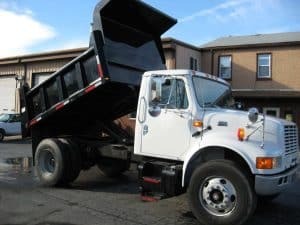 2001 International 4400 10’ Dump (pictured above): This dump truck includes a 10′ Rugby body with 30″ high sides and a 40″ high tailgate! 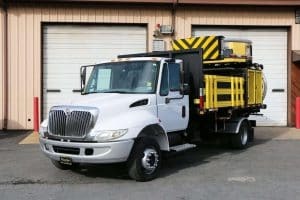 2003 International 4300 LP Hook n’ Go with 13’ body (pictured above): This hook and go truck is priced with a attenuator body with solar arrow board and sign cage. It can fit bodies between 8′ and 13.5′! If you are looking to add a new forestry truck to your fleet, we have several different options for you. 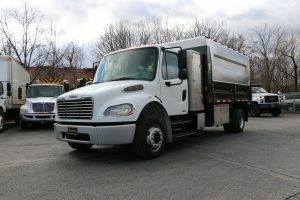 2008 Freightliner M2 LP Chipper (pictured above): This truck comes with a 13’6″ body and steel drop sides with a aluminum removable lid. We have available grapple trucks that will be able to handle any operation your company needs with their heavy-duty grapples. 2009 GMC T7500 Grapple (pictured above): This truck has a 14′ forestry body (with a 24″ removable lid) and an Epsilon C80Z89 & FG37 Grapple. Our available bucket trucks with working heights ranging from 40 feet up to 75 feet. Take a look at what we have! 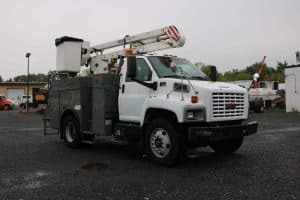 2006 GMC C7500 Bucket Truck (pictured above): This Versa-Lift bucket truck has a 37.83′ working reach! During January, we are running our New Year, New Truck Sale Event. If you are looking at purchasing a new truck, now is the perfect time! For a limited time, your can lease a truck for exclusive discounted rates! Click here to view what trucks are available for these discounts. Cool trucks! Gotta buy one of those!